A Fife engineering firm improved the skills of its workforce after using a business consultancy service offered by Skills Development Scotland and Investors in People. 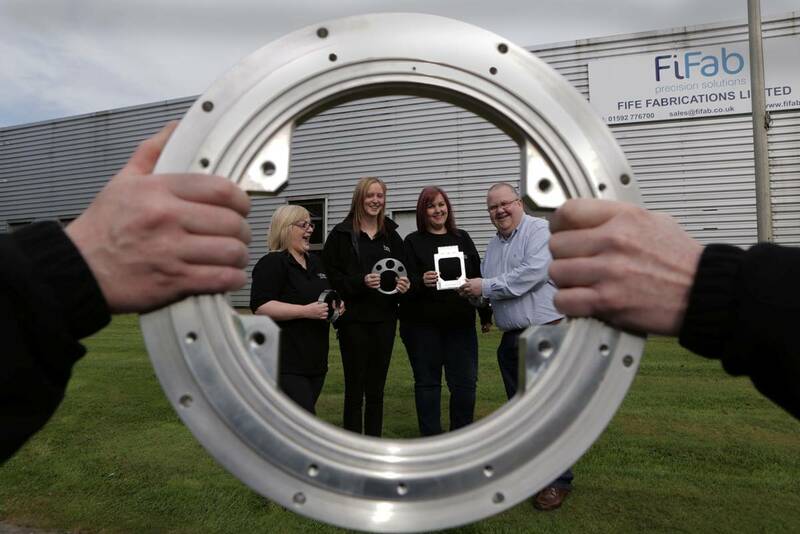 Glenrothes-based Fife Fabrications (FiFab) made use of the Skills for Growth initiative to identify priorities for development. The initiative helped the firm, which employs 128 people, find growth potential through providing training in management and leadership and in using Excel spreadsheets. Around 50 staff members took part in the training, including Customer Satisfaction Co-ordinator Marlene Joyce. She said: “The Excel training was split into beginner, intermediate and advanced levels which was ideal as it covered the basics upwards and was very helpful. FiFab is one of the UK's most advanced manufacturers of precision sheet-metalwork, electro-mechanical assemblies and precision machined components. June Gallagher, Employer Engagement Adviser at Skills Development Scotland (SDS), offered advice and support to the firm during the Skills for Growth programme. The training was co-ordinated by John Phillips, Curriculum Manager for Management, Leadership and Enterprise at Fife College. He said: “When providing training to firms and other organisations, we recognise that one cap does not fit all, and our strength lies in the ability to design specific programmes that suit the individual needs of a business. John Penman added: “We’ve now got an up-skilled workforce with a greater degree of employer engagement, and a large percentage of our team is using those enhanced skills to improve business outcomes.